To the US Department of the Interior the term "vixen" refers to a mature female fox; to males vixen refers to something else. But to astronomers the Vixen Corporation is a successful company based in Japan that designs, manufactures, exports, and distributes astronomical telescopes, telescope accessories, binoculars, spotting telescopes and other optical products. 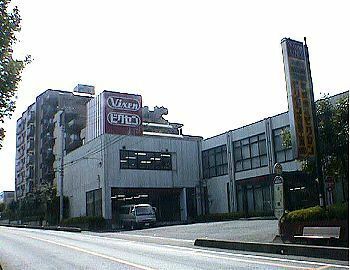 Vixen began in October 1949 when their present Chairman Mr. Kousuke Tsuchida started a wholesale business specializing in optical goods. The original company name was established in March 1954 when "Koyu Company, Limited" was formed in Shinjuku, Tokyo. In August 1969, their manufacturing division, Vixen Optical Company, Limited was founded in Itabashi, Tokyo. And in August 1970 the name "Koyu Co., Ltd. was changed to Vixen Company, Limited. 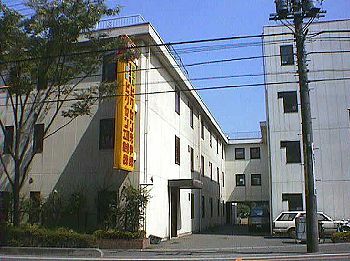 Since 1985 Vixen has been located in Tokorozawa, Japan. The company's most noteworthy areas of expertise include the incorporation of "go to" computer control electronics into a number of their portable German equatorial mounts. Starting with the "SkySensor" introduced in 1984, continuing with the introduction in 2004 of the STAR BOOK and SPHINX SXW and SX Compact "Go To" German equatorial mounts, Vixen has developed original products that offer reasonable solutions as a child's first telescope, or a capable instrument for the adult. By the early 1980's Vixen also featured well made achromatic and the then state of the art fluorite doublet apochromatic telescopes (most notably the highly regarded Vixen 102 Fluorite Apo, some Newtonian models, and a variety of binoculars and interesting accessories. Vixen's motto is "offering better quality products at lower prices for more people", as a result Vixen products are ranked very highly and are used by professionals and enthusiasts the world over. The Japanese authoritative commodity testing organization "The Japan Consumers Association" designated "Grade-A" status to Vixen's binoculars and astronomical telescopes, this is the ranking earned by the highest quality of goods. Vixen Co., Ltd. Domestic sales division: distributing Vixen products through more than three thousand retailers across Japan and achieving the top sales record in this field. Vixen Research & Development Industries Co. Ltd. Manufacturing division: producing Vixen astronomical telescopes, etc. Vixen Optical Co., Ltd. Manufacturing division, producing Vixen binoculars, telescope accessories, etc. Vixen has a history marked by innovation of relatively affordable, good to very high performance products - often imitated but rarely equaled. Company Seven has been acquainted with Vixen products since 1984 when we opened our original store in Laurel, Maryland. Then, Vixen was distributed by Celestron International, then based in California but since acquired by a Chinese optical company. Celestron introduced us to very well made lenses of Vixen including the FL series apochromatic telescopes, incorporating a pure calcium fluoride element in the doublet lens. Celestron did well with Vixen until the US Dollar was depreciated against the Japanese Yen throughout the late 1980's. Then competitors, most notably Meade Instruments introduced products to the US market that were made in countries where costs and the dollar exchange rate were more favorable; not that those telescopes were as good as those of Vixen, but not enough US consumers did the homework to learn that. So Celestron and Vixen parted ways. Then Orion company picked up distribution of several items in the Vixen line; we at Company Seven offered several of them including of course the 102 FL telescope. By the turn of the 21st century Orion was nurturing relationships with companies in China, where costs were lower and where Orion could have products developed to sell under their complete control. So again Vixen was without representation in the USA. Occasionally some Vixen products made their was into the USA, most notably the GP-DX mount that was first introduced here by the Astro-Physics company in 1989 for sale with their 12cm ED and other fine apochromatic telescopes. Astro-Physics continued to offer the GP-DC through 1992. In May 1992 Vixen North America was formed as a wholly owned subsidiary of TeleVue Optics, Inc. to be the exclusive distributor of Vixen (of Japan) astronomical telescopes and accessories for Canada and the United States. Vixen North America operated from TeleVue's then new headquarters building in Chester, N.Y. with its own staff. 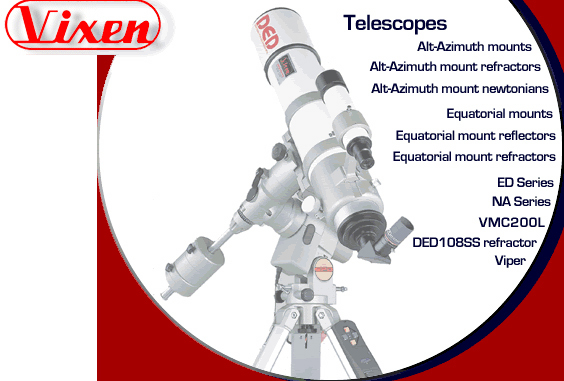 TeleVue saw this is an opportunity to offer mounts for their telescopes, while also offering other items too. Our sense of it was that anything Vixen produced tended to be mimicked by the Chinese, then brought into the USA at a lower cost: the Super Polaris mount was largely knocked off by the Chinese makers then sold in the USA for at 1/3 the cost for example. Vixen fought back with ingenuity and refinement with the introduction of the Starbook being among their innovations. But none of this was enough to make the relationship work as well as expected for TeleVue or Vixen and so TeleVue discontinued distribution of the line. Right: new Vixen logo on top line is incorporated with added text to form the "Vixen North America" logo (128,424 bytes). Click on image to see enlarged view (130,383 bytes). TeleVue hired new talent to improve its distribution efforts, both on the TeleVue and Vixen North America sides of their company. Among the newer hires was Brian Deis, a fellow amateur astronomer from New York state. Brian left TeleVue to take a promotion at Meade Instruments. Unfortunately Meade was then moving towards some disasters, some owing to the economy and some of this was self-inflicted so Meade let go some good talent who would in time pop back up in our community representing other companies. Scott Roberts for example, then one of the most capable and respected people at Meade was let go and would found Explorer Scientific importing Chinese-made telescopes and accessories. Brian Deis parted ways with Meade too, and since he had relocated to California to work for Meade he decided to stay there and establish Vixen Optics to distribute Vixen products at his facility in San Clemente, California. Company Seven has acquired much experience with the Vixen products since we have offered their better products for more than thirty years. It was after TeleVue gave up the distribution of Vixen products that Company Seven decided to continue parts and service support of customers who purchased Vixen products from Company Seven, just as we have done since the early 1980's. However, we have not yet elected to pick up the line as it is distributed by Vixen Optics. We continue to stock and offer several of their better German Equatorial mounts, and accessories left in our inventory from the days when we sold Vixen through TeleVue and other importers.